'If I Only Had A Magic Wand': Reflecting On Years Spent Working With Wounded Soldiers Two physical therapists spent nearly a decade treating U.S. troops wounded in action. Despite their strong commitment to their patients, the job was emotionally draining. 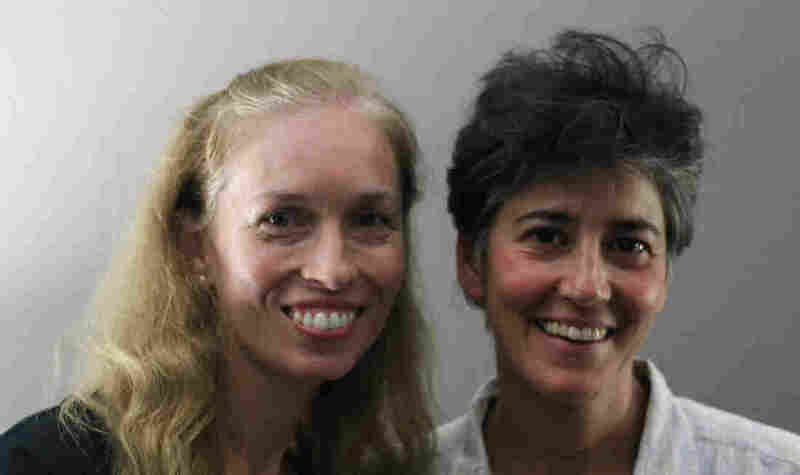 In a StoryCorps conversation in 2016, Etaine Raphael (left) and Adele Levine reflected on their time as civilian physical therapists working with soldiers who had been severely injured while serving in Iraq and Afghanistan. During the wars in Iraq and Afghanistan, more than 1,600 men and women lost limbs in battle. For nearly a decade, civilian physical therapists Adele Levine and Etaine Raphael worked side by side helping soldiers navigate life after their injuries. 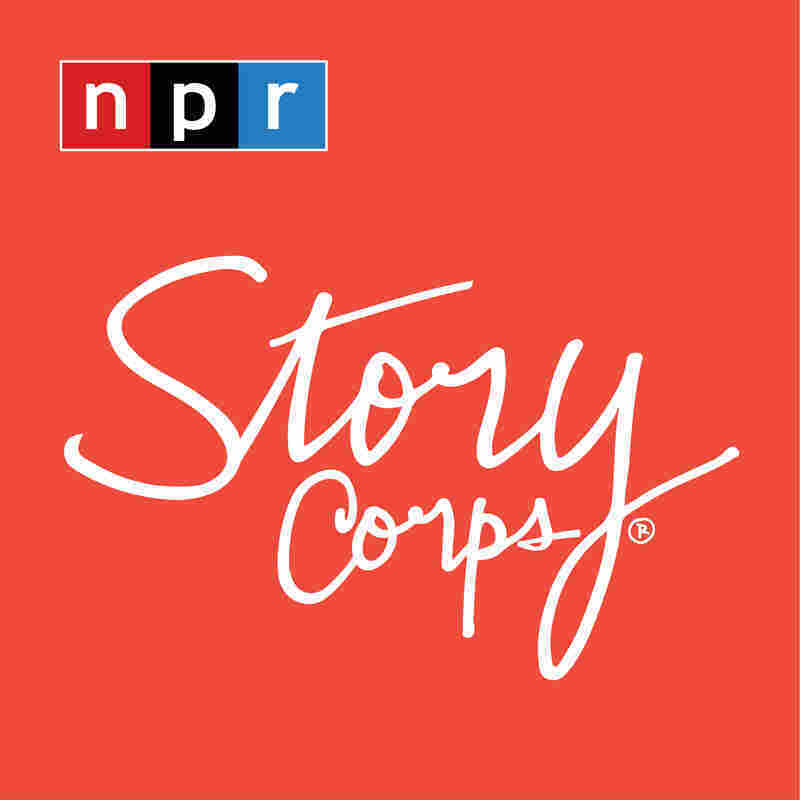 In a StoryCorps conversation, Levine and Raphael talk about their work at the Walter Reed military hospitals in the Washington, D.C., area. Levine, 48, vividly recalls the day she saw her first patient who'd been injured in war. "I remember feeling my heart speed up and I was having trouble breathing, and I couldn't imagine why I was reacting like that," she says. "I realized later it was the first time I had seen anyone who had been maliciously hurt." Raphael, 43, says they got to know their patients well. "We would see them two to three hours a day, for two to three years," she says. 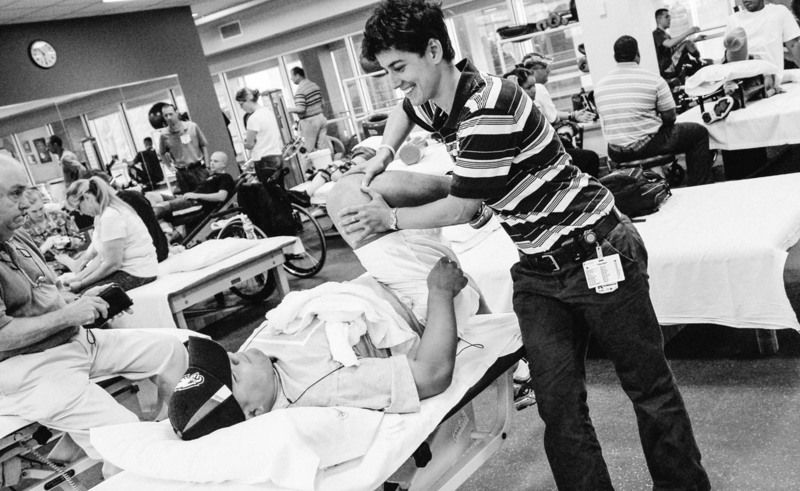 Adele Levine at work with a patient at Walter Reed Army Medical Center in Washington, D.C.
As the war in Afghanistan intensified, Raphael and Levine treated worsening kinds of injuries — and more of them. "The guys and girls were on foot and so the blast was coming from the ground up, and the injuries became so much more severe — both legs or both arms — and all you want is to fix them," Raphael says. "Like, I remember just thinking, God, if I only had a magic wand, this is where I would use it." "We were seeing 150 combat amputees a day in our clinic," Levine says, "and everyone's running from one patient to the next patient. And I would just get really frustrated because I felt like I could never actually spend time with anybody." Patients would improve over years of treatment, but Levine couldn't shake the feeling that jumping from person to person meant rarely seeing anything through from beginning to the end. She says she would pick up hobbies to find some relief. "It bothered me not to finish anything," Levine says. "And so that's when I started getting into all these home repair projects until all hours of the night." But the stress upset her sleep. "I started having nightmares where my family and my friends, they were all amputees," she says. "I came to work finally and I fessed up to you guys and some other people said they had those too and that was normal." It left her permanently changed. "I just saw like bad stuff all the time and it was good people that it happened to," Levine says. "I started getting this feeling that, if you're good, bad things are gonna happen to you. I mean, I am a really cynical person now." Levine and Raphael left Walter Reed in 2014. Since then, Levine says it's been challenging to find a steady job. Raphael can sympathize. "I think it's just hard to find another job because you don't want it to be just a paycheck," she says. The commitment to their patients made it hard to leave. "Eventually, I think we all came to the same conclusion — you know, that we were part of something that was so much larger than ourselves," Levine says. "I just felt like I couldn't just walk away." "I've always felt a very deep appreciation towards the men and women in uniform, but it's on such a different level now," Raphael says. "I'm just eternally grateful." Today, Levine continues work as a physical therapist, now at a civilian hospital in Maryland, while Raphael found new work as a preschool teacher.